The RSVP Calendar was established decades ago by ladies who recognized the need for a social calendar in Dallas. Originally printed and mailed on a subscription and quarterly basis, Kimberly Schlegel Whitman purchased the calendar in 1999. Whitman quickly realized that mere weeks after the calendar was mailed, the phone was frequently ringing with event detail changes and cancellations. Whitman envisioned a new interactive online calendar deeming it the perfect format for efficiency and accessibility for the thousands of visitors that use it each and every month. When the calendar launched online, users and guests were able to conveniently submit their events and changes in an instant. 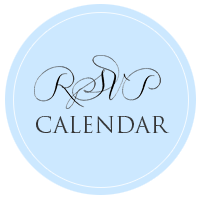 Kimberly Schlegel Whitman’s RSVP Calendar is the resource for the most current and reliable information on non-profits, charities, the arts, and philanthropy in Dallas and Collin County. The Calendar strives to educate and strengthen non-profits and charities on ways to increase their outreach, impact, and performance, while providing an alterable interactive online calendar for society and guests with up-to-date information. The RSVP Calendar strives to support both the non-profits and charities and their organizations, while serving as a leader and local resource for the community and society. We provide a readily accessible convenient calendar for prospective attendees, beneficiaries, volunteers, and donors who can rely on our website for the most current information on local society and functions, while assisting with planning and complementing the busy lifestyles of social butterflies.